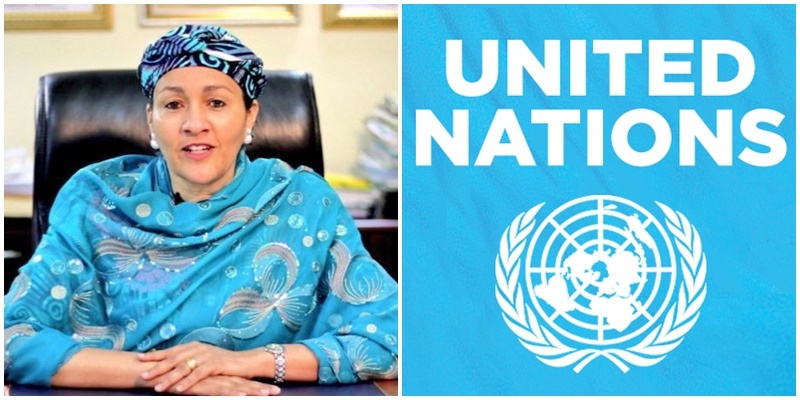 The United Nations Deputy Secretary-General, Amina Mohammed, has said she was involved in the alleged illegal export of African rosewood, also known as kosso, from Nigeria to China. The trade is estimated to be worth $1 billion in the last four years. The Environmental Investigation Agency (EIA), a non-governmental organisation, which specialises in investigating environmental crimes, had claimed that Mohammed might have derived personal benefits from signing thousands of allegedly backdated permits in January 2017 which it said were used to clear illegal rosewood exports to China. This was at a time she had been appointed UN deputy secretary general. The environmental agency had reported that over 1.4 million illegal rosewood logs from Nigeria, worth $300 million, were detained at the ports in China in 2016 but were released after the presentation of the Convention on International Trade in Endangered Species of Wild Fauna and Flora (CITES) certificates signed by her.However, Mohammed at the weekend in an interview with TheCable, an online newspaper, she maintained that she spent her time at the ministry working to eliminate the illegal export of the tropical hardwood used for rosewood furniture in China. An environmental advocacy group, the Washington-based Environmental Investigation Agency (EIA), had alleged that multiple sources told its undercover investigators that over $1 million was paid to top government officials in Nigeria to release wood stopped by Chinese authorities because there were no CITES certificates.CITES on Thursday released a 40-page report alleging that Mohammed’s approval of the kosso exports violated the CITES agreement.According to report, the former environment minister spent her final days as minister doing something that has angered activists. It added that despite a ban then in force on the export of rosewood, an endangered resource, she signed thousands of certificates authorizing the shipment of vast quantities of the wood. The certificates “came in bags, and I just signed them because that is what I had to do,” she recalled in an interview last month in her U.N. headquarters office “I don’t remember how many,” she admitted.EIA said rosewood is coveted in China for furniture and over the past five years “exploding Chinese demand” has depleted forests across West Africa. As supplies in Gambia and Benin dwindled, it said Chinese traders moved to Nigeria, which had the largest untapped resource.Mohammed’s last minute decision to approve the kosso shipments was first documented by the Washington-based environmental group and is now part of an inquiry by the secretariat of CITES, to which Nigeria is a signatory. In a letter to Nigerian authorities in August 2017, John Scanlon, CITES’s secretary-general, raised concern about information his agency had received indicating that as many as 10,000 containers of Nigerian rosewood had been stopped by Chinese authorities between May and December 2016, because they were not accompanied by the proper CITES documentation, according to Michael Osakuade, the acting director of Nigeria’s Department of Forestry. On Dec. 31, 2016, Mohammed herself imposed a three-month ban on the trade in rosewood. Yet following her mass signings, more than two weeks after the ban went into force, the trade quickly resumed: Chinese trade data show that between then and April, as many as 12,000 containers of kosso logs were cleared to enter the country. EIA estimates that Mohammed’s approval of certificates in January 2017 allowed the delivery of more than 1.4 million kosso logs that had been illegally exported between May and December 2016 and were detained in Chinese ports. EIA furnished FP with six copies of certificates signed by Mohammed and dated Jan. 16, a little more than two weeks after she ordered the temporary three-month ban on the export of kosso wood. A senior Nigerian forestry official confirmed the authenticity of the certificates but denied that they were issued for rosewood that had already left for China.